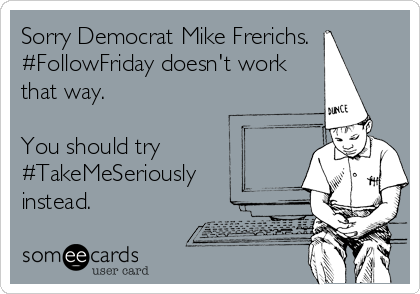 After posting our first SomeeCard this am on Democrat Mike Frerichs (and his 'relentless Facebook postings'), one of the Truth Team readers was kind enough to send us in another one. This time, they're pointing out how Mike Frerichs doesn't really know how to use #hashtags. You can read the full "Mike Frerichs: You're Doing It Wrong" post here for background. Have one you want us to run? Send it over to tipthetruthteam@gmail.com.